There’s no doubt about it—the 2018 Toyota Camry and the 2018 Honda Accord are two of the most beloved midsize sedans on the market. So, that’s why our team here at Andy Mohr Toyota wrote a Toyota Camry vs. Honda Accord comparison for our friends in Avon, Indianapolis, and Plainfield. Keep reading to learn more about performance, safety systems, high-tech features, and more. Then, if you have any further questions (or if you’d like to schedule a test drive), contact us. We’re here to help! Performance: How much do you like to drive? 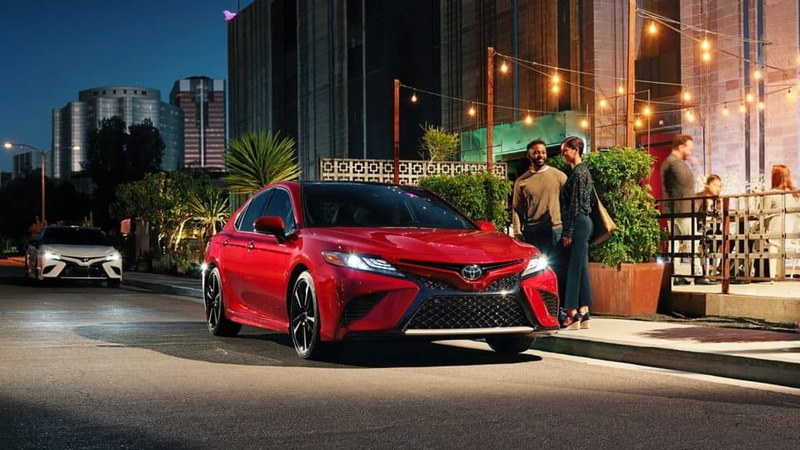 Next, still with the Camry, you’ll enjoy an independent MacPherson strut front suspension, a double-wishbone style multi-link rear suspension, a Direct Shift 8-Speed Automatic Transmission, and three different driving modes: ECO, Normal, and Sport. In other words, you get all the bells and whistles. Finally, and perhaps most importantly, it gives you up to 41 highway MPG1. Wow. While the 2018 Honda Accord does offer an optional 2.0L turbocharged engine, as well as a new automatic transmission, we’re not quite as excited about this vehicle when it comes to performance. And that’s just the beginning of the Toyota safety technology that can protect you. On the other hand, the Accord offers a comparable suite of safety features, which is called Honda Sensing®. It’s good, too! Last, but certainly not least, we’ll give you a side-by-side comparison of the various entertainment tech systems that you’ll find in each cabin. 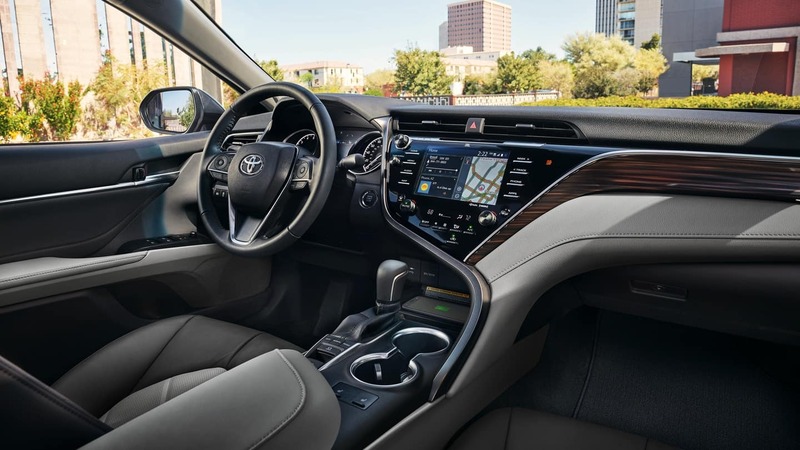 With the 2018 Camry, you get a Wi-Fi Connect function, an eight-inch multimedia touch-screen, an available Entune™ 3.0 Premium Audio with JBL® Audio and Clari-Fi™ Music Restoration Technology, and a lot more. With the 2018 Accord, you don’t get nearly as many high-tech entertainment features. By this point, it seems like the choice is clear. 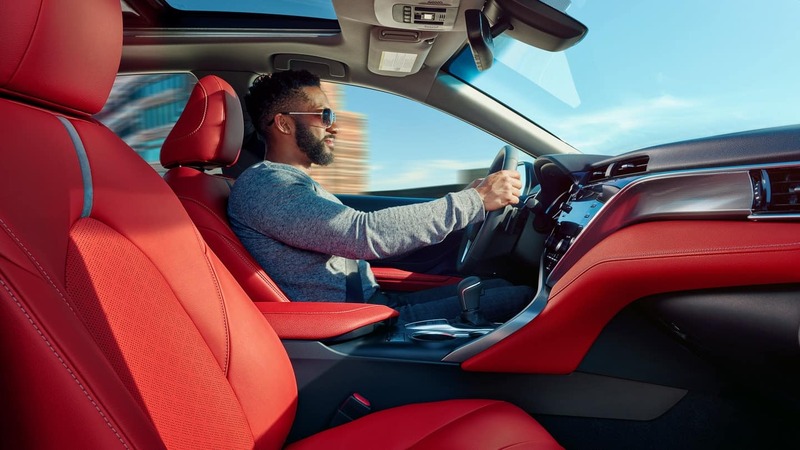 So, would you like to test drive the 2018 Toyota Camry? Regardless of where you live in Indiana (Plainfield, Indianapolis, Avon, etc. ), Andy Mohr Toyota is one of the best places to go to test drive the 2018 Toyota Camry. This high-performance, high-safety, and high-tech midsize sedan is waiting for you—right here, right now. All you need to do is get in touch with us! Simply call us on the phone, stop by our showroom in person, or reach out to us on our website today.